In June 2011, things were good for the Dallas Mavericks. After years of climbing the mountain, the Mavericks finally gravitated to the summit by winning their first NBA Championship in franchise history, but the celebration wouldn’t last very long. The Mavericks were the ultimate victim of the NBA’s impending lockout as they lost key players from their championship squad. The Mavericks would make the playoffs in the following year, but they were quickly shown the door there by the Oklahoma City Thunder. In 2013, the Mavs would fail to make the playoffs for the first time since 2000 and the re-tooling process would soon begin. Mavericks owner Mark Cuban will generally do whatever it takes to win and just like he built a title winner in Dallas in 2011, he was out to once again turn his squad into championship contenders and the plan is coming to fruition. After taking the eventual NBA Champion San Antonio Spurs to the brink in the first round of last season’s playoffs, the Mavericks have used it as a launching pad for this season. The Mavericks have shot out of the gates this season with a 13-5 record which is allowing them to keep up with the Joneses in the tough Western Conference and it could lead to their first 50-win regular season since 2010-2011 when they won the NBA Championship. It has been a team effort in Dallas as five players are averaging in double figures for points as they appear to be on the same page with Mavericks head coach Rick Carlisle. Mavericks power forward Dirk Nowitzki is in his 17th season in Dallas and he is arguably the best player in franchise history. Nowitzki has averaged 22.6 points per game for his career. 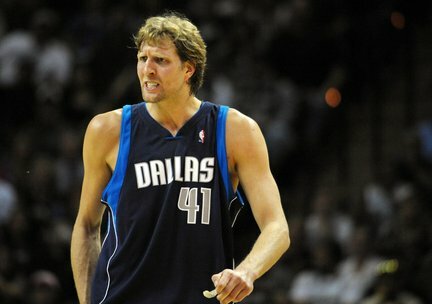 During the 2012-2013 NBA, Nowitzki was getting back in the flow after undergoing knee surgery. Nowitzki only appeared in only 53 games that season while averaging 17.3 points per game which was his lowest point production since the 1999-2000 season. But even at 36-years of age, Nowitzki continues to get it done this season as he is second on the Mavericks in scoring at 19.4 points per game. In 2013, the Mavericks big free agent acquisition was shooting guard Monta Ellis. Throughout his NBA career, Ellis has been perceived as a bit of a guy that played for himself. Ellis is leading the Mavs this season in points per game at 19.7, but he has bought into the Mavs culture as he has become a team player by doing whatever it takes to win. Then there is the Chandler connection for the Mavericks. Last summer Cuban and the Mavericks signed small forward Chandler Parsons to an offer sheet for $46 million over three years. Parsons’ old club in the Houston Rockets did not match the Mavericks offer and he was bound for Dallas. Chandler joined the Mavericks after a career year with the Houston Rockets as he averaged 16.6 points and 5.5 rebounds per game. Parsons’ numbers are slightly down this season as he is averaging 14.2 points per game, but he has blended in with the Mavericks and he is another perimeter player. When the Mavericks won their only NBA Championship in 2011, center Tyson Chandler was a defensive anchor for them. After the Mavericks title season, Chandler left the team as a free agent to join the New York Knicks on a four-year, $58 million deal. Last summer the Knicks traded Chandler back to the Mavericks much to the delight of Cuban and Carlisle as he is currently sixth in the NBA in rebounds at 11.2 per contest. And with that the Mavericks are simply gelling into a well-oiled machine. The Mavericks are fifth in team assists at 24.1 per game while with Chandler anchoring things defensively, Dallas is averaging 5.6 blocks per contest which is fourth in the league. 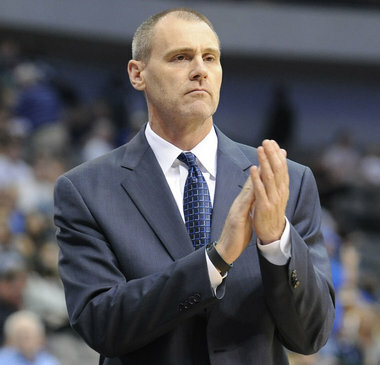 Carlisle preaches defense and it is something that the Mavericks must improve on. The Mavericks are allowing 99.9 points per game which is tied for 16th in NBA and six of their last seven opponents have been able to hit the century mark in points scored. But in those seven games the Mavericks offense has been able to pick up the slack which has been highlighted by road victories over the Washington Wizards and Toronto Raptors who are two of the top teams in the Eastern Conference. The Mavericks depth was on display last night as they went on the road and knocked off the Philadelphia 76ers while Carlisle gave Nowitzki the night off. Yes, the Sixers have yet to win a game this season, but Nowitizki is still the leader of the Mavericks and for them to get a victory without him in uniform will pay dividends down the road as other players were asked to chip in and they accomplished it. The Mavericks are in the middle of a four-game road trip as they’ve already taken care of the Raptors and the 76ers while the Chicago Bulls and Milwaukee Bucks are still waiting in the wings. The Mavericks must take care of business on a nightly basis just to keep up the tough Western Conference. The Mavericks have come out of the chute with a record of 13-5, but that is only good enough for them to be the sixth best team in the Western Conference and you can bet that at least one team in the conference will finish with a winning record and not qualify for the playoffs this season. But in spite of the tough Western Conference, something tells me that this Mavericks team could be playing deep into the spring.